A catering food provider who also runs a business of Café machine rental has used NFC tag for asset tracking and rental service renewal. Their clients (catering business owner) can now check the rental service, tapping a Smartphone on the NFC tag on the machine; and reorder coffee beans or ice-cream in the future. 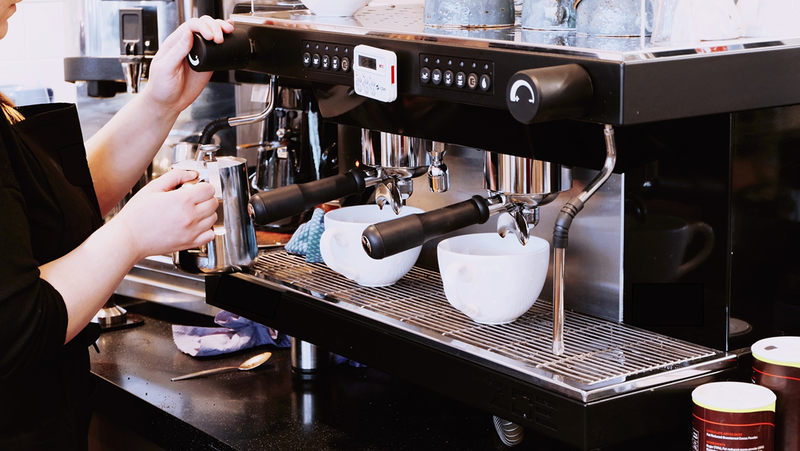 The “total coffee solution” provider provides catering machines which include all sorts of fully/semi-automatic coffee machines; capsule systems; brewer and even ice-cream refrigerators. They also provide coffee-business consultancy, after sales care and maintenance of the machines. Professional coffee machines are not cheap to own and to run. The on-going maintenance and managing of such distributed assets always troubled the client. While the barcode is the easiest and cheapest solution, the label is vulnerable in catering environment where is always wet and crowded. While QR-code shares most of the NFC functions but its copiable, good for marketing but it is easy to cheat for any asset tracking or attendance taking. By tapping smartphone (with a business App installed) on NFC chip, it can provide an instant linkage between machine ID (on NFC chip) and the GPS location of the smartphone. The machine owner can well-aware of the machine location and the condition as reported by the technicians/users on-site, through a simple web-access. This GPS information also helps to trace the business location which may be bound by rental contracts. The use of NFC on-metal tag becomes easier as the NFC smartphone is so popular and affordable. In the future, the café shop owner can also replenish the consumables through the NFC tag to order to run the business; such as coffee capsule, coffee beans, sugars, milk, etc. Hong Kong RFID has provided the NFC on-metal tag and developed an App for this application. This system also fits for any business which involves frequent machine or equipment ID checking for stock-take or maintenance operations; such as Audio Video equipments, refurbishing service or cleaning services. More about RFID-enabled asset management system, LINK.